Eerde is a small village in the commune of Veghel, 3 kilometres west of the village of Veghel and 16 kilometres south-east of 'S-Hertogenbosch. 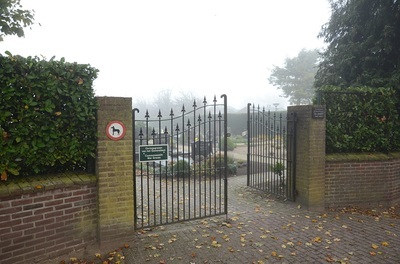 The churchyard is in the centre of the village in the Esdonkstraat. The Commonwealth war graves will be found in the north-east part of the churchyard. 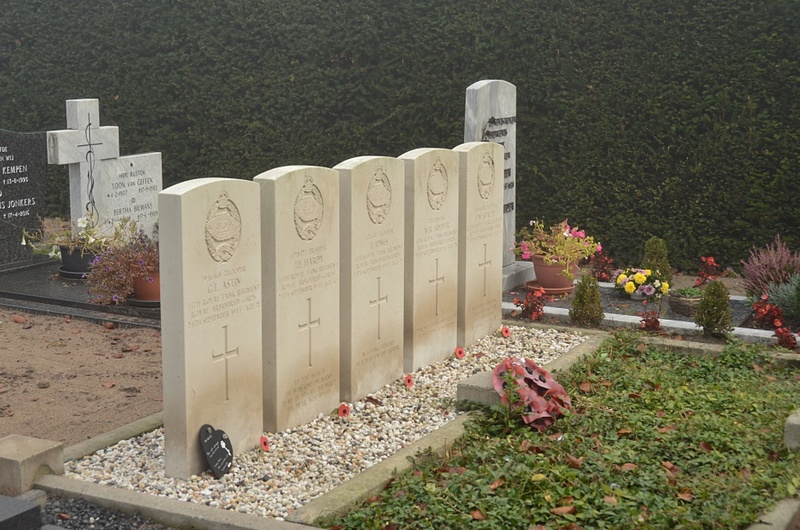 Eerde is a small village under the commune of Veghel 2 miles west of the village of Veghel. 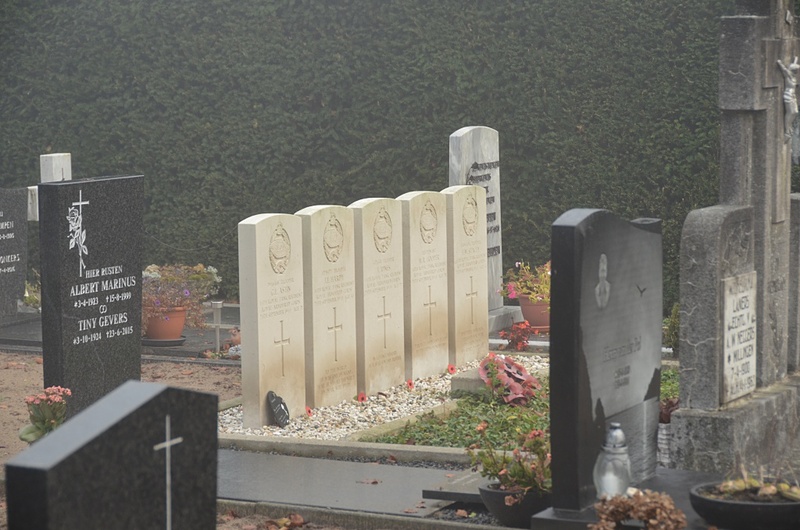 The nearest railway station is at 'S-Hertogenbosch, whence there is an hourly bus service to Veghel and Eerde. Accommodation is available at Veghel. The churchyard is in the centre of the village. 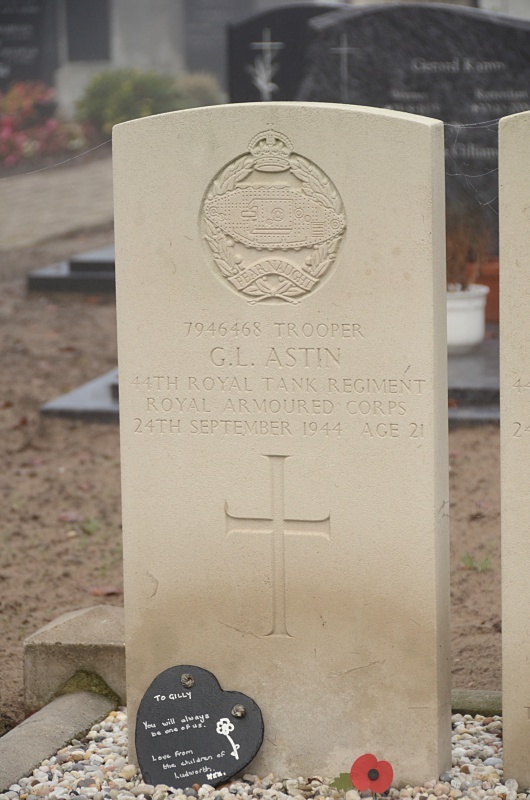 In the north-east part are the graves of S soldiers from the United Kingdom. 7946468 Trooper Gilbert Leslie Astin, 44th Royal Tank Regiment, R. A. C., died 24th September 1944, aged 21. 4278427 Trooper James Edward Hardy, 44th Royal Tank Regiment, R. A. C., died 24th September 1944, aged 30. 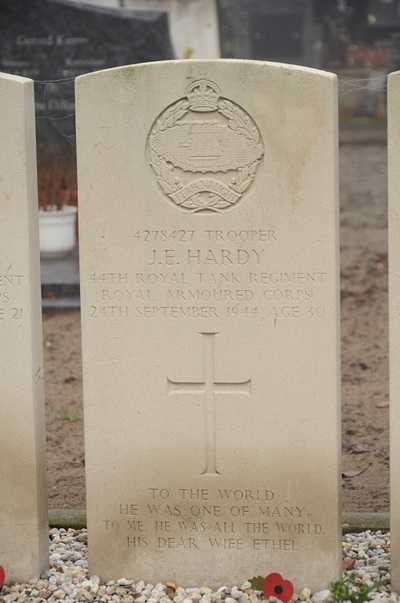 Son of James Edward and Mary Ellen Hardy; husband of Ethel Hardy, of Ryton, Co. Durham. 300106 Lieutenant Wallace Roy Hooper, 44th Royal Tank Regiment, R. A. C., died 24th September 1944, aged 28. 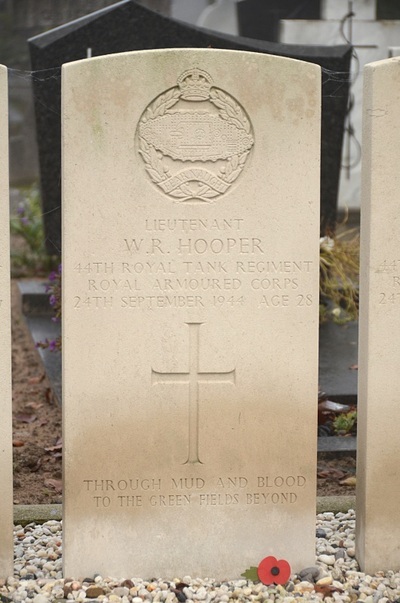 Son of William Harold and Jessie Grace Hooper. 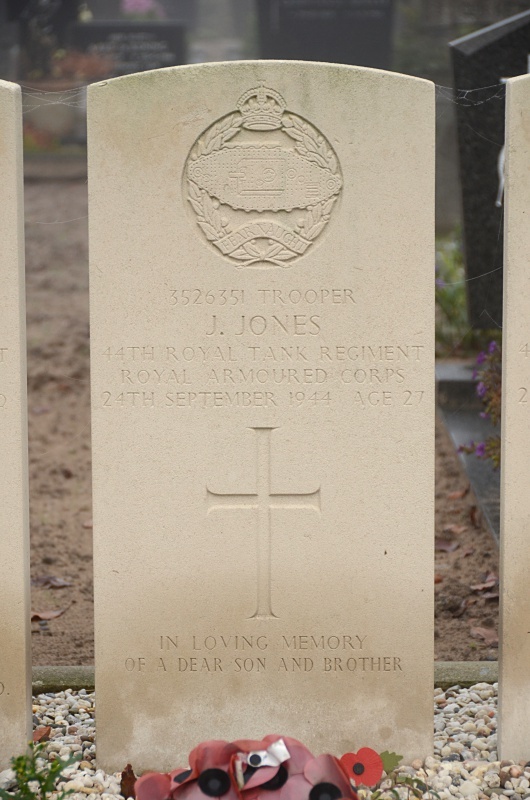 3526351 Trooper Jasper Jones, 44th Royal Tank Regiment, R. A. C., died 24th September 1944, aged 27. Son of Richard and Elizabeth E. Jones, of Chadderton, Oldham, Lancashire. 14393405 Trooper Frank William Stacey, 44th Royal Tank Regiment, R. A. C., died 24th September 1944, aged 36. 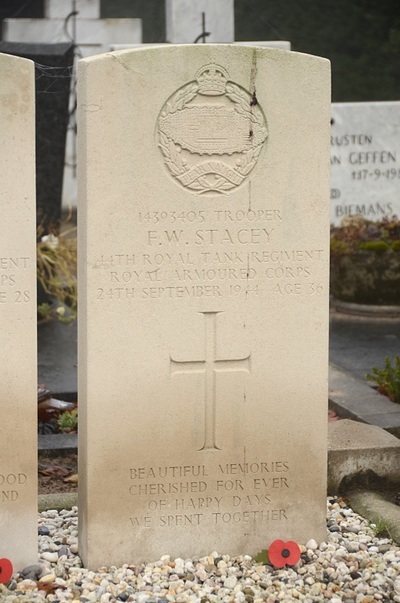 Son of William and Annie Stacey; husband of Doris Stacey, of Cheam, Surrey.